I've recently added logging to LightService. The organizers pipe log messages to whatever you define as your logger. This blog post tells you the story of how I added logging to this gem I maintain. raise "No action(s) were provided" if actions.empty? It's not that hard to figure out what's going on in this object. It has 2 methods, #with and #reduce. 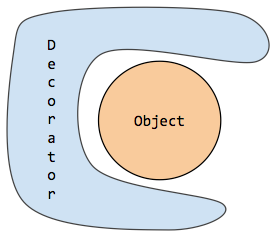 The #with method is simple, it creates a Context object through the factory method and returns self for chaining. #reduce takes an arbitrary number of actions and reduces them by calling their #execute method. if defined? action.expects and action.expects.any? if defined? action.promises and action.promises.any? This is the exact same core logic as the one in the first example, except it got polluted with logging. This code works, but seeing what the two instance methods do is not obvious, far from simple. What's wrong here? First, two separate concerns (logging and the core functionality) got squashed into one. Second, when the logging logic changes the underlying core logic will be touched violating the Single Responsibility Principle. At this point it does not matter which WithReducer class I'd use. Using the original one or the decorated should produce the exact same functionality. And with that I wrapped the original #with and #reduce methods with logging from outside with a decorator. I separated the two concerns: the core logic and the logging around it. I only need to touch the decorator object when the logging logic needs to be changed and I don't even need to look at the logging code when the core logic changes. I learned about these concepts 9 years ago when I used Aspect Oriented Programming (AOP). I was fascinated by Around Advices, where logging was applied around a routine, beautifully separating the concerns.